We're excited you have chosen Oahu as your vacation destination, and you're surely eager to find some amazing things to see and do on your getaway. And because we here at Guide of US Hawaii want your experience to be spectacular, we have put together our top picks of Oahu land activities. From thrilling zipline and ATV tours to relaxing spas and garden tours (and everything in between), we've got you covered. You'll love our hand-picked adventures and great rates; our goal is to help make your Oahu stay simply outstanding. If you're looking for the best Oahu tours, you're in luck. Whether you're a hiker, a biker, or a foodie, we have the perfect Oahu experience for you. Oahu is filled with amazing sights, culture, and history just waiting for you to discover. Browse our great Oahu activities and book your tour today! "Oahu" and "adventure" go hand in hand. Soar over the treetops, explore jungles and beaches on horseback, or ride your ATV through the land of Jurassic Park... all this and more is possible with these thrilling Oahu experiences. Book your adrenaline rush today! Get ready to be wowed! Take a seaside seat and enjoy an Oahu luau or sing along with some of your favorite tunes. Take in Oahu's history and culture at Pearl Harbor, Iolani Palace, and more. Or grab your clubs and get ready a game of golf in paradise. Entertainment (and "Elvis") is king on Oahu! No trip to Oahu would be complete without some much-needed rest, relaxation, and pampering. Make that massage a priority, recenter yourself with a yoga retreat, commune with nature and eat healthy and fresh foods. 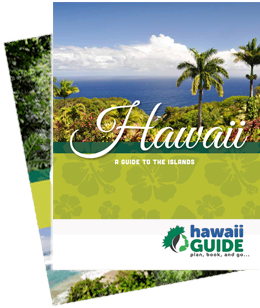 You deserve to take care of yourself... and Hawaii Guide is here to help you do just that.